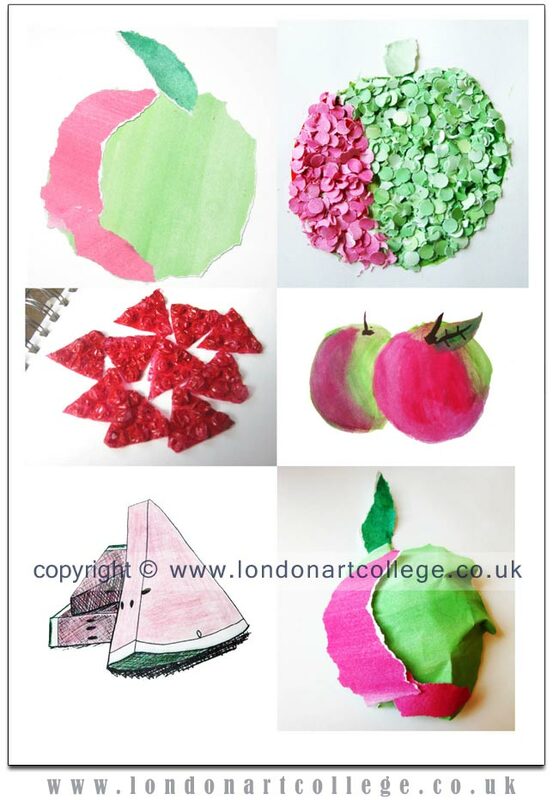 I have some lovely examples of experimentation from a student on the graphics course to share with you. The Illustration study unit encourages students to analyse a broad range of styles and then go on to create their own interpretations. This student has taken the theme of fruit and focused upon retrospective, collage, graphic, realistic, and loose styles of working. The results speak for themselves – super!